Some nights, we’re up for the challenge of using a pot, skillet and food processor. But when it’s late at night and we’re totally exhausted, all we want to do is toss everything in a pot and call it a day. 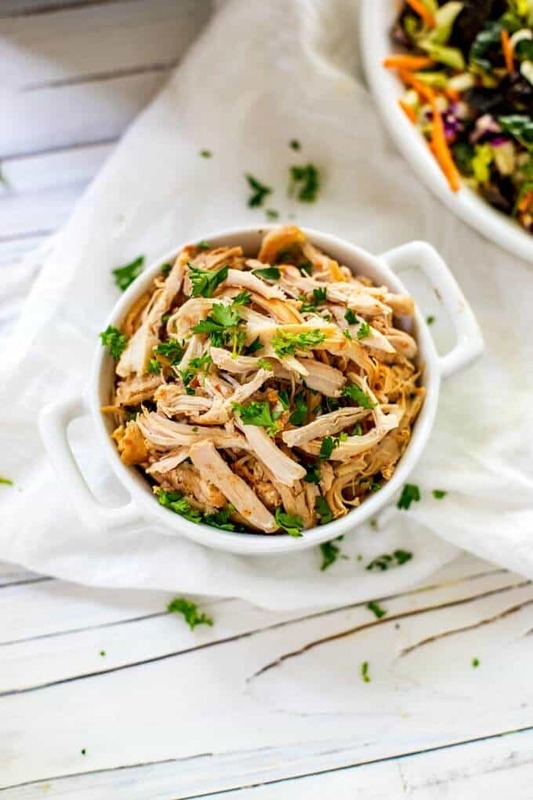 For those nights, try these 17 comforting chicken meals you can whip up in your Instant Pot. Coterie member Maria Lichty promises that this takes only 25 minutes, from stove to table—and it’s the best way to get your kids to eat their broccoli. According to Coterie member Heidi Larsen, this easy recipe is rich and creamy (without any added cream) and tastes even better the next day. Brown rice ramen noodles, lean chicken that practically falls apart when you shred it, lots of mushrooms, spinach, soft-boiled eggs and raw veggies. Y-U-M.
White beans, warm spices, onion, garlic and green chilies come together with chicken broth and chicken breast for a dish that will be gobbled up even the pickiest kids. Toss a few simple ingredients into the machine for about 12 minutes and you’re done. Meal prep is the best. You open the fridge and find those little gifts you left for yourself, like this ridiculously flavorful saucy dish that you can serve over rice, cauliflower rice or polenta. Bookmark this for when you need a recipe for basic, flavorful chicken in the Instant Pot. 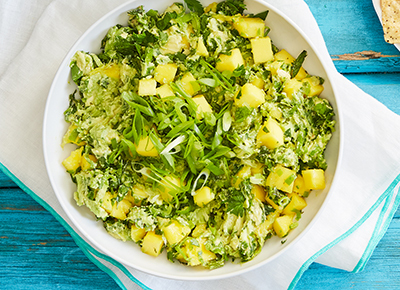 It’s great for meal prep: Toss it into salads, quesadillas, sandwiches and stir-fries. It’s impossible not to love these lightly breaded chicken breasts topped with a creamy and savory mushroom sauce. The easiest way to make everyone's favorite Indian dish: Serve it with rice and toasted naan for mopping up all of the tasty sauce. This recipe is pretty nifty. Prepare a nourishing broth, veggie and chicken-based soup in the Instant Pot, then ladle it over raw cauliflower rice to instantly cook it. All of our dieting dreams just came true—this dish is Paleo-friendly, Whole30, low-carb and keto, too. Normally, veggies cook in a matter of seconds in the Instant Pot. But this recipe uses a pretty cool hack to ensure the cauliflower is done at the same time as the chicken. The chicken is cooked on the bottom of the pot, while the cauliflower florets are placed in a bowl on top of the trivet. Fresh orange juice and zest keep the flavors vibrant but light. And it’s healthier than takeout because there’s zero thick, soggy breading. Soup fatigue is real. But when every single spoonful is loaded with goodies (chicken, potatoes, scallions, avocado, corn, cilantro and jalapenos), we’re craving every last bite.